Customer Appreciation event from 1 - 3 pm on Saturday. !0% off all paintings and products, but not classes. Come enjoy the refreshments, and put your name in to win the door prizes! 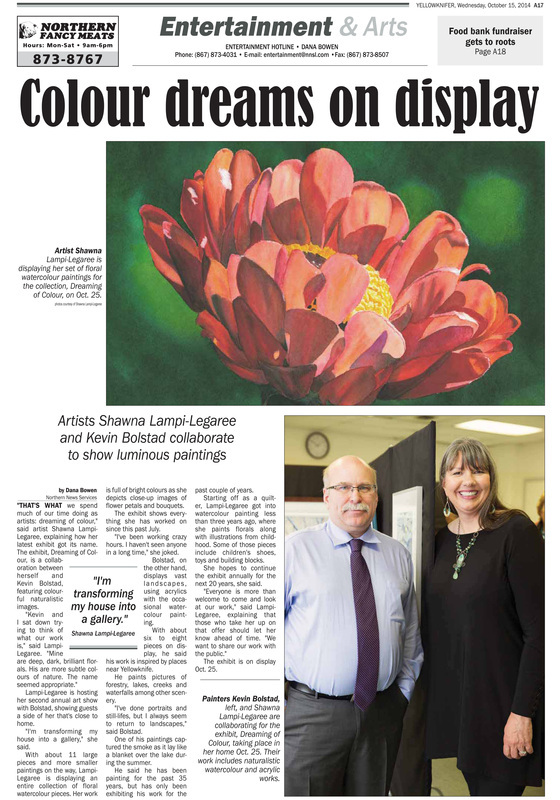 The Yellowknifer has a great article about Kevin and I's show. Take a look! 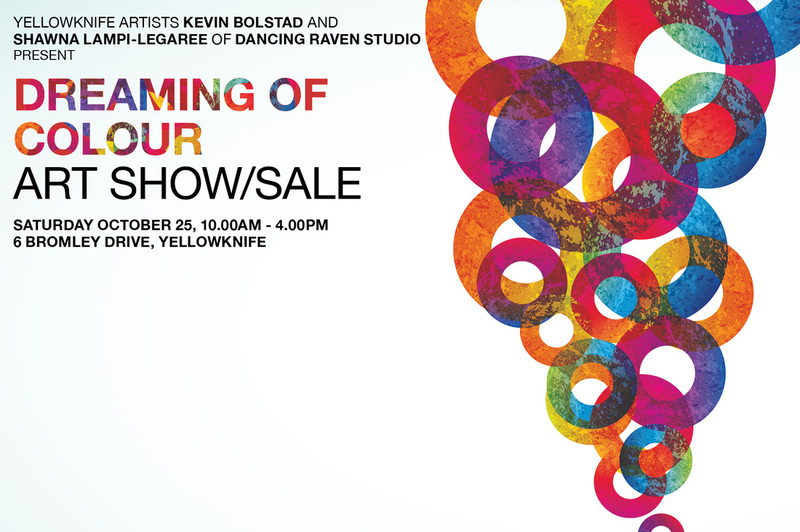 At our show 'Dreaming of Colour' I have a new line of 5x5 inch cards that will be available for the first time ever in Yellowknife. I have new floral cards and celebration cards too. My 2015 calendar has arrived and will be for sale as well. I will be announcing a new service addition to my business during 'Dreaming of Colour'. And I begin to teach in January and class registration will happen that evening. You can also register on-line here. I am checking off my list of things to do and all is going quite well! It will all come together in time. Oh ya...below is a sneak peek of "Cherished", 13x19 inches, available at the Show for $350 unframed!